Nothing is better than a craft for kids that can be made from items you already have on hand. 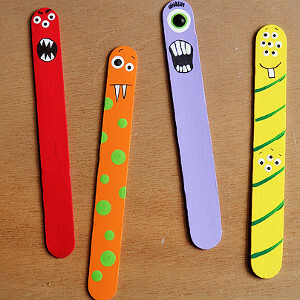 Don't worry about running to the store for the Popsicle Stick Monster Men because they can be made from popsicle sticks and paint. 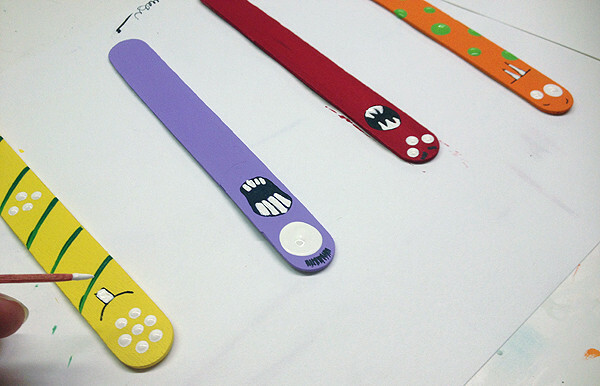 Halloween crafts for kids can be spooky, but they can also be scarily fun. 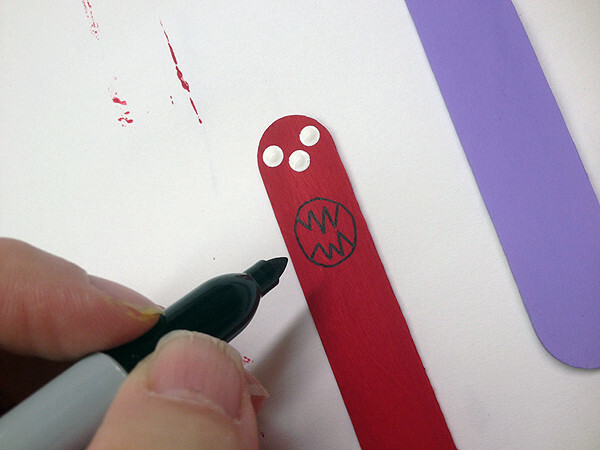 This fun and easy craft can be enjoyed by kids of all ages, as older kids can make their monsters more detailed. 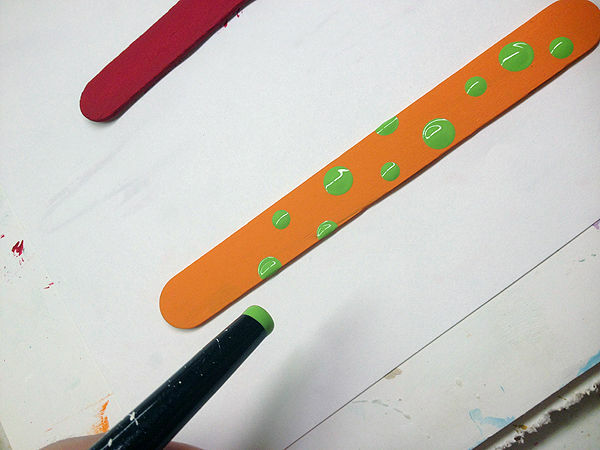 For younger kids, fasten multiple popsicle sticks together for a larger drawing area. 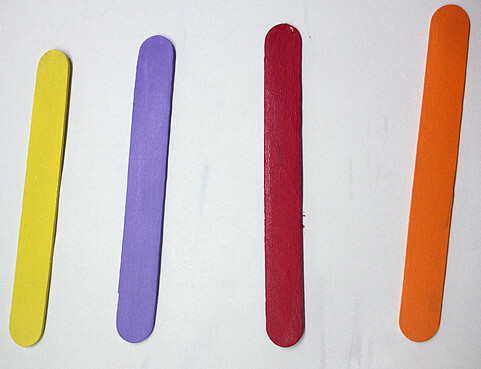 Find this craft and so much more in our collection: What to Make with Popsicle Sticks! 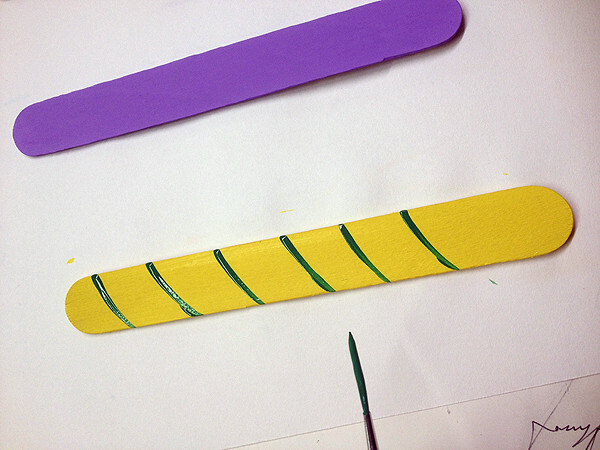 Paint the craft sticks, one each in red, orange, purple, and yellow. You can draw the mouths with a black marker and use a white paint pen, if you have one, to color in the teeth. We used a toothpick dipped in white paint. Find this project and more Popsicle stick crafts like it in our free eBook,11 Popsicle Stick Crafts for Kids! Does your kids love to do crafts on weekends then here is a super easy and cheap on to do. Popsicle monster men. You can even have them put them in your garden or planters for a extra creaative touch and they will love to show them off. Nice project.